Legacy Learning Systems is committed to ensuring that your privacy is protected. Should we ask you to provide certain information by which you can be identified when using this website, you can be assured that it will only be used in accordance with this Policy. 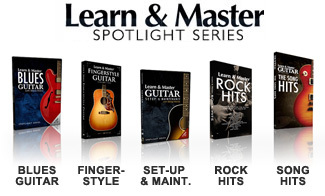 This Policy applies to all of the products and services offered through LearnandMaster.com. Legacy Learning Systems may change this policy from time to time by updating this page. You should check this page periodically to ensure that you are in agreement with any changes. Legacy Learning Systems is committed to clearly and readily disclosing its data collection practices so that you can make informed decisions about your activities on LearnandMaster.com. Legacy Learning Systems provides you with a choice to participate in its data collection activities. Legacy Learning Systems has taken proactive measures to protect against the loss, misuse, or alteration of data that it collects and stores. Legacy Learning Systems’ network infrastructure utilizes leading technology, including Secure Sockets Layer (SSL) software which encrypts information, to protect data at each point of transfer. Legacy Learning Systems utilizes up to date physical security procedures to limit access to the data so that any access is consistent with this Policy. Legacy Learning Systems transmits your entire credit card number to Authorize.Net during order processing. Customer details you provide us, including first and last name, email address (at field level), shipping and billing address, phone number, company name. Payment information may also be collected, where necessary, through our secure checkout process. Cookies. When you visit LearnandMaster.com, we may send one or more cookies (small file containing characters which identify your browser). Most browsers are set to accept cookies but you can modify your browser’s settings to reject or delete cookies from some or all websites, including LearnandMaster.com. User Communications. If you send an email or other communication to Legacy Learning Systems, we may retain those communications and the personal information you provide in order to fulfill your request of us. We will not use your return email addresses for any other use without your consent. Affiliated Web Sites. Legacy Learning Systems may offer products and services in connection with third-party websites. Personally identifiable information that you provide to third-party websites may be sent to Legacy Learning Systems. Legacy Learning Systems processes such personally identifiable information in accordance with this Policy. The third-party websites may have different privacy practices and you should read their privacy policies before giving them your personal information. Links. Legacy Learning Systems may present links in a format that tracks whether these links have been followed. This information is used internally to improve the quality of Legacy Learning Systems’ products, services, and this website by tracking user trends. Third-Party Web Sites. This Policy only applies to this website and any other website owned and operated by Legacy Learning Systems. Please be aware that Legacy Learning Systems is not responsible for the privacy practices of any other websites and does not exercise control over third-party websites displayed as links anywhere on this website. These third-party websites may place their own cookies or other files on your computer, collect data, or solicit personally identifiable information from you. In certain instances, if you affirmatively click through to access sponsored content or materials at sponsored websites, or affirmatively click through on a link/ad, that user's information may be shared with the sponsor. Advertising. Legacy Learning Systems works with third-party partners, including Google, who automatically collect anonymous, non-personally identifiable information about your visit to our websites. This information is collected using cookies. Information gathered may include, but is not limited to, age, gender, IP address, site navigation patterns, frequency of visits, and interests. Legacy Learning Systems may use this information to inform, optimize and serve advertisements (banners, text ads, and links) on third-party websites. This means we may create targeted advertisements for display on other websites for Legacy Learning Systems products and services that are tailored to fit your interests. We will never run interest-based advertising campaigns that collect or disperse confidential information, such as email addresses, telephone numbers, and credit card numbers. How Legacy Learning Systems Uses Your Information. You will occasionally receive emails containing information on products, services, special offers, contests, promotions, or newsletters. Legacy Learning Systems will always provide you with a mechanism to opt-out from receiving these types of communications within the communication itself. Legacy Learning Systems may disclose certain details of your personally identifiable information to third-party service providers in order to fulfill your order. These third-party service providers have agreed to use your personally identifiable information only to fulfill your order and to keep it secure and confidential. Legacy Learning Systems may share aggregate information, such as usage and demographic data, with third parties. Aggregate information does not include personally identifiable information. Legacy Learning Systems may use your data for customer service purposes, such as contacting customers who have not checked out, to follow up on abandoned shopping carts or to see if there was a problem with their use of the site. Legacy Learning Systems is the sole owner of all information collected on this website. Legacy Learning Systems will not sell, share, or rent this information to any third parties, except as set forth in this Policy. Legacy Learning Systems reserves the right to disclose any information collected at this website if required by law or valid order of a court or other governmental authority. Please note, if you decide not to receive marketing emails from Legacy Learning Systems, you may still receive 'Transactional' email messages regarding your order (i.e., order confirmation, shipping information, customer service notifications, abandoned shopping cart reminders, etc.). You can easily opt out of all email communications from us by clicking on the "unsubscribe" link at the bottom of all email messages. If you have questions or concerns regarding this statement, please contact us at support@leglearn.com. Whenever you are asked to fill in a form on the website, look for the box that you can click to opt-out of any communication from Legacy Learning Systems. If you have previously agreed to us using your personal information for direct marketing purposes, you may change your mind at any time by writing or emailing us at the contact information listed above. Beginning on January 1, 2005, California Civil Code Section 1798.83 permits those customers that are California residents to request information about how Legacy Learning Systems discloses certain categories of personally identifiable information to third parties for direct marketing purposes. California residents may also request that Legacy Learning Systems not share your personally identifiable information with third parties for their direct marketing use. Except as set out in this Policy, Legacy Learning Systems does not presently share personally identifiable information with any third parties.